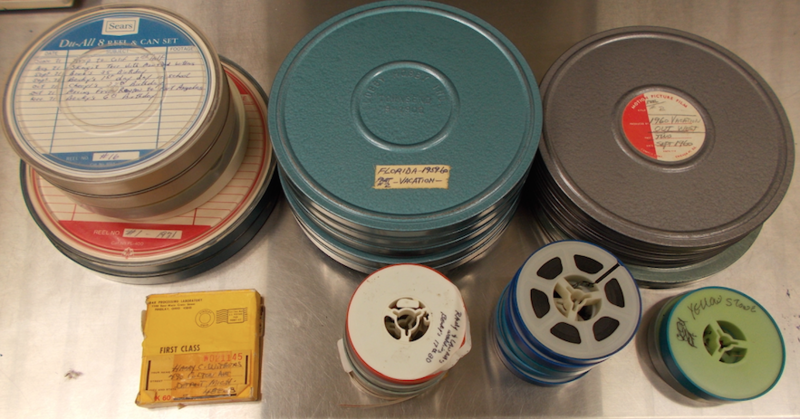 Last fall, a Bremerton couple made an unusual discovery within the hedge along their driveway: numerous vintage film reels in varying shapes and sizes. Most of the reels contain clues to their owners: “Nov. 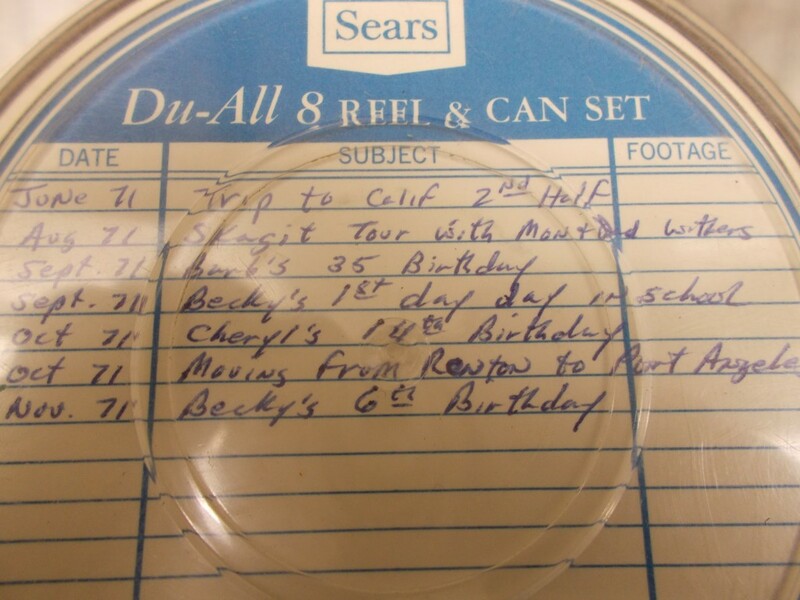 71, Becky’s 6th birthday,” “Florida Vacation, 1959-60,” or “Ostrander Picnic 1963.” But beyond that, it’s hard to know who they belong to — unless the owner were to recognize them. Bremerton Police Officer Jeff Schaefer responded to the 600 block of Roosevelt Avenue last September to collect them from the curious couple. He believes they may have been discarded there by a thief who’d broken into a nearby home, but he can’t say for certain. He’s since tried to find the owners, but has realized that without getting word out to the masses, the reels may just end up collecting dust in the department’s evidence room. “I knew that when the reporting party turned these reels over to me, they were someone’s family treasures,” Schaefer said. Schaefer says the discovery was one of the most intriguing of his career. “Ever since I took custody of them, it’s been very important to me that I do all I can to get them back to their owner,” he said. I’ve posted more photos below in the hopes that they’ll jog someone’s memory. Schaefer hopes so too. 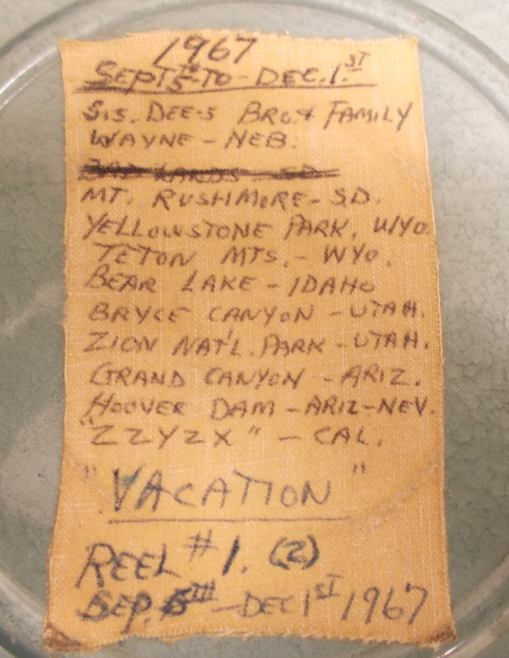 UPDATE: I am excited to announce that representatives of the family have claimed the film reels! I plan to post a more thorough update once I interview them. Notice one said moving from Renton to Port Angeles. Have you tried for any of the names up there? The North Perry Pee Wee field between View Ridge School and the Sylvan Way Library is named Ostrander Field. I sent a message to a family member on Ancestry.com. Harry passed away in Pt. Angeles in 1989. I sent them links to the article. Ostrander is a well known name within the Babe Ruth baseball leuge as well as the Bremerton HS teams. here is a link to INTELIUS, Harry Withers, lived in Michigan and Port Angeles, WA. 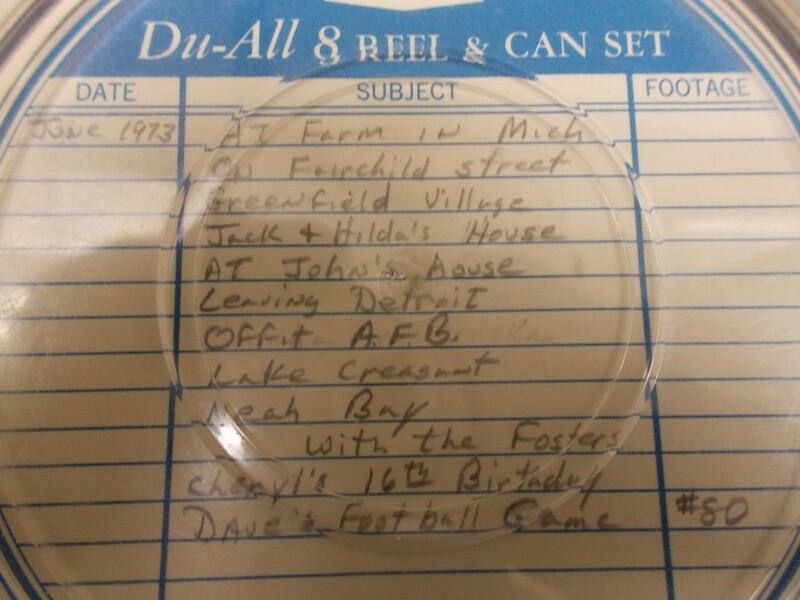 One of the reels shows “at the farm in Michigan” and then shots at Neah Bay and Lake Crescent…near Port Angeles. another link, Ostrander is mentioned with another mention of Gary and Barb’s wedding. Here is a link to Gary Ostrander in Michigan, he shows a relationship to Barbara Ostrander. Wow this is Gary & Barbara Ostrander we were married on July 16, 196 0 and we are still married. Yes this is our grandpa & grandpa Withers and Rick was our Uncle! This truly a miracle of fate! Thank you now I would love to see them! we only had a few black & white photo’s of the wedding!! We didn’t have very much money at the time of our wedding day! Barbara can you email me at josh.farley@kitsapsun.com with your contact info? Would love to interview you! 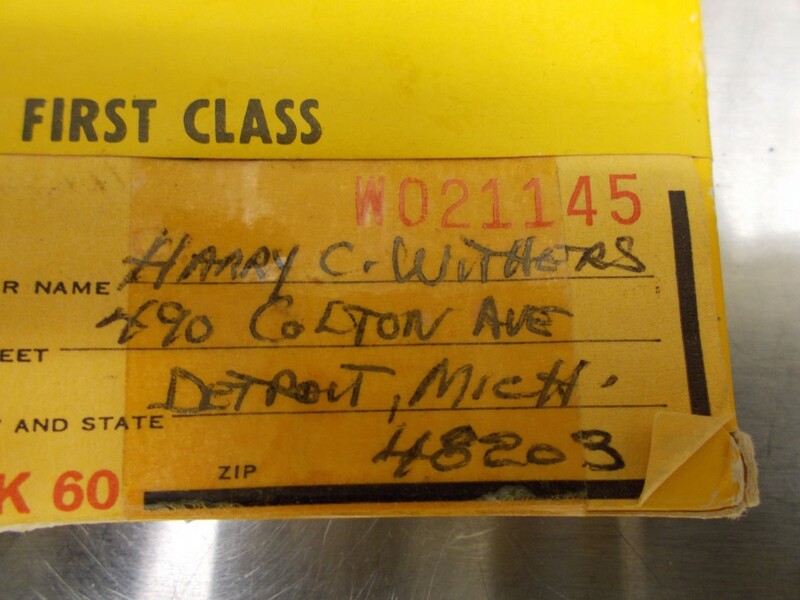 My husband, John W Withers, is the son of Harry C Withers. My husband never lived in WA state and therefore was not a registered voter there. I’m excited about the film reels. My father-in-law, Harry C Withers and his wife, Alice Withers (my mother-in-law) loved to travel and made many Super 8 MM movies. 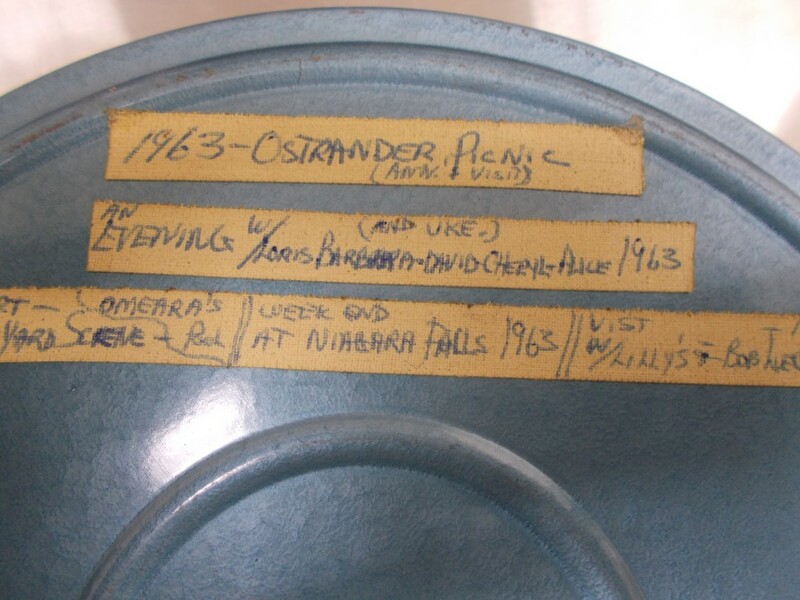 Harry would use white adhesive tape to carefully mark the canisters or small reels. I still have the old Super 8 MM camera, projector, splicer and screen that Harry passed to us, as our family was growing up. 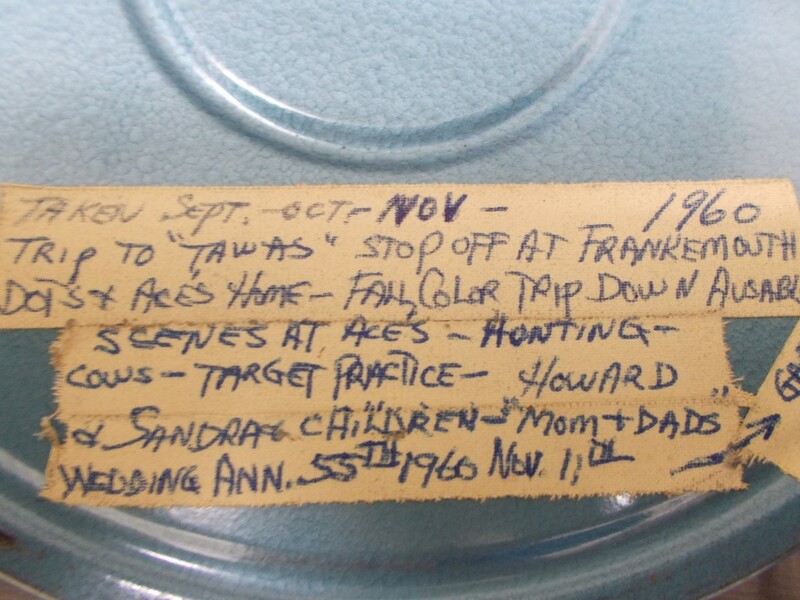 Some years ago, I transferred many of Harry & John’s reels to VHS. Thank you for all you are doing. The Withers family is very excited and very grateful to all who worked to find our (proper) family. Here is a link to property address for Gary and Barbara Ostrander, it is shown as the Ostrander family trust. Gary R and Barbara P Ostrander. 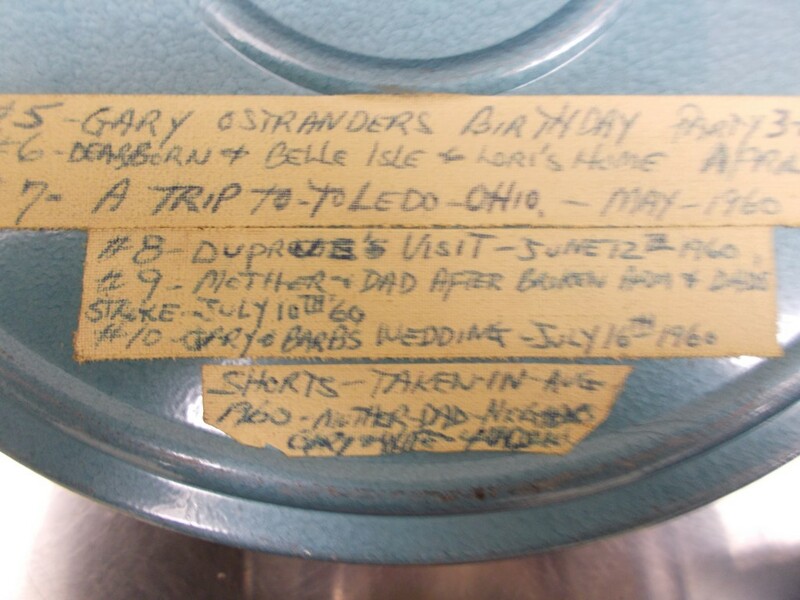 I sent Barbara Ostrander a message…One of the reels has her wedding, I would have to bet she would definitely like to get the memories if the local owner isn’t found. What if the Kitsap Sun found the local owner but covered the cost to duplicate the movies and distribute them to the families involved back east…. (with the original owners permission of course…. )…I’d be willing to convert the files to DVD for no charge. How kind of you, F-Shaw. to speak of converting the files to DVD, for us. Harry C Withers is my father-in-law. Becky Withers made the Peninsula Daily News on November 24th, 1974. I didn’t find Bechy or Cheryl in an online yearbook though so maybe they didn’t hang around. The People on these films I am pretty sure are my Cousin Gary and Barb Ostrander and their extended family on my Aunt Annabelle’s side. I just sent them a facebook message with this link to let them know. I am sure they can help find their family who owns them….